If you drive an RV, you know that in most cases, the GPS in your phone or the one in a traditional auto unit is not enough. It is because recreational vehicles are bigger and higher in size and weight. This makes it necessary to invest in the best RV GPS, one that can specifically adhere to the set of laws and rules followed by RVs. The good news is that several specialized products in the RV GPS category are now produced and introduced to the market today. Such specialized units take into account the specific needs of RV drivers. With that, there is a guarantee that the GPS can perfectly suit its intended use. You can program it in a way that it can comprehend the RV’s actual weight and size. It is also possible for you to program it in a way that it can prevent extremely low bridges or the risk of it being unable to offer support on the weight of the vehicle. The GPS units are also specialized, giving you the chance to plan your route in advance. Searching for an RV GPS is made easier with the aid of the Garmin RV 660LMT GPS navigator. One of the most commendable benefits of this GPS system is the fact that it allows easy route shaping. This means that you can modify your route with ease. It lets you modify it in a way that it already includes your preferred cities or roads with just one touch of the screen. I am also impressed with the custom RV routing linked to this GPS system. You can customize the routing based on the actual weight and size of your towable trailer or recreational vehicle. With such ability, I am quite sure that it will suit your unique and specific requirements. It also boasts of its elevation profile. This is made possible with the built-in elevation map tool, which tends to show potential steep grades together with the route. Another favorable advantage of this navigator is that it has a complete directory of RV services and parks. It is even created in a way that it can filter the search results of campgrounds depending on the specific facilities and amenities you prefer. This navigator can also keep most of its users safe. It is mainly because of its ability to send road warnings right away in case you are encountering certain issues while on the road, like bridge heights, steep grades, sharp curves, and weight limits. One potential problem is that it is not equipped with a traffic receiver cord. This means that you still have to connect your phone in order to get updates regarding traffic. 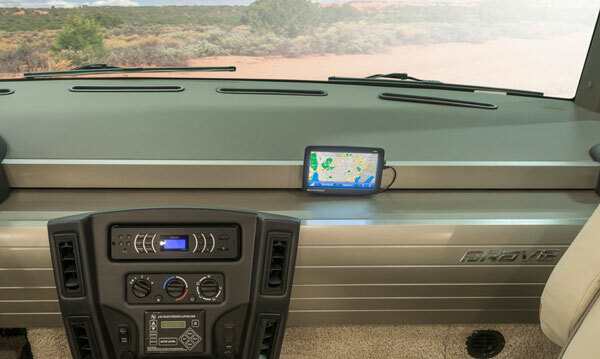 The most reliable RV GPS reviews 2018 and 2019 also often include the Garmin RV-770 MA LMT-S and that’s for several good reasons. I think one reason behind the popularity of this GPS system is that it provides an excellent combination of a system with plenty of features while being easy and simple to operate. It is inexpensive, too. This device is wireless-focused as it has both Wi-Fi and Bluetooth connectivity. I am greatly pleased with the options it provides for wireless reversal camera. With such feature, users will have an easier time researching some places of interest through either FourSquare or TripAdvisor. It can, therefore, allow you to stop at the specific locations where you want to stop. I am happy to say that this product from Garmin is also multipurpose. It also works well for you if you are someone who wishes to spend time creating a daily plan for your routes then executing it. It provides you with several options, giving you the chance to choose. The system also lets you input your RV’s weight and dimensions, making it possible for it to route your vehicle away from weight limit or low bridges. Furthermore, you can program this system in such a way that you can stay away from traffic jams and tolls. It has a 6.95-inch display while boasting of its Wi-Fi, which lets you access not only live traffic but also weather updates. One flaw with this GPS system, though, is that it is not equipped with an address book feature. 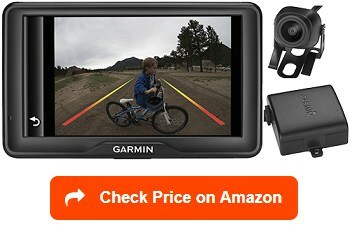 Another product that is worthwhile to check out is the Garmin RV 760LMT portable GPS navigator. One thing I truly like about this GPS navigator is that it makes it possible for you to input your information easily and look for the ideal route where you can take your vehicle. Another advantage of this system is that it is already equipped with a preloaded listing containing RV-friendly places. It is even equipped with free map and traffic updates for a lifetime, giving you the chance to know the exact place where you should go each time. Aside from giving you constant updates, the system is also capable of sending you cautions and warnings and supply information regarding road adversaries. With such feature, you can fully prepare yourself for certain issues, like sharp curves and high winds. It also sends alerts each time you are crossing state lines. It also has a nice viewing screen, which is around 7 inches. It is large and clear enough while being easy to use and see once installed in your recreational vehicle. Another great advantage is that it features white backlights. With such feature, you can prevent the possibility of glare, letting you see the route you are planning to take clearly. Aside from providing audible navigation, this GPS navigator is also designed in such a way that it sends a response to your verbal commands. It also has a Bluetooth functionality, which is a bonus. One issue with this navigator, though, is that it also has the tendency of guiding you through populated areas and routes that are quite difficult to traverse using large vehicles, like your RV. 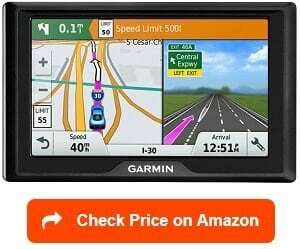 I also highly suggest another Garmin product, which is the 770 NA LMT-S dedicated GPS navigator. With the aid of this dedicated GPS navigator, I am pretty sure that you will receive more than enough guidance regardless of the route or location you wish to traverse. I am pretty impressed with its mini-advanced navigation, which truly works well for any camping enthusiast. With its ability to provide guidance on RV routing and send road warnings, you will definitely be guided when driving your towable trailer or recreational vehicle. This Garmin GPS system even allows you to use a smartphone link app, which is extremely useful in case you want to have easy access to the basic weather and live traffic. It also boasts of its several hands-free features, including smart notifications, Bluetooth calling, as well as RV parks directory, which you can navigate through voice. Another excellent advantage of the system is that it is capable of filtering the search results in case you are looking for a campground. Such filters will be dependent on your preferred facilities and amenities, so expect to be able to find a campground, which fits your unique preferences. Another great benefit is that it boasts of its easy-to-view and large 6.95-inch touchscreen display. It perfectly fits a car or recreational vehicle. I hope the provided USB cable is a bit larger, though, as I find it smaller than expected. If you are looking for a TomTom RV GPS, then I think that the brand’s VIA 1605M RV GPS navigator is ideal for you. One prominent benefit I enjoy in this GPS system is its ability to provide lifetime updates. It is beneficial as it automatically changes the map each time the road changes. I would also like to highlight the ability of this GPS navigator to provide real-time updates regarding the maps covering Mexico, Canada, and the US. The GPS system also takes pride in its map share technology and IQ routes. I think that the widescreen display, which is around 6 inches, is also a big advantage. With such wide display, you will find it easy to operate the navigator. With that, I can assure you that it can deliver a smooth drive starting from the start to the end. You will also be satisfied with the split-screen feature built into this unit. It is because this feature lets you see the way you should go in advance. It is because it lets you see two views simultaneously. The GPS system is also capable of providing local information, like the closest shops, hotels, and restaurants in your current location. It provides an integrated mount, too, which you can attach with ease to your vehicle’s windshield. As for the drawbacks, I found out that one of them is that this system does not have any Bluetooth functionality. If you wish to invest in a fully functional Garmin GPS system with plenty of valuable features, then I highly advise checking out the Garmin 760LMT, which is equipped with a wireless backup camera. One of the many things that this GPS system takes pride in is its 7-inch display. Such display is high in resolution and touchscreen, which is big enough for you to see clearly all the details it shows. It is also easy to use and see within vehicles regardless of their sizes. I am also happy with the lifetime maps integrated into the system. There is a guarantee that it will be updated in case of certain changes in the details in routes. Another excellent benefit of this system is that it takes pride in its customizable routing. All you have to do is to input the width, length, height, and weight of the recreational vehicle. You can also use this system if you want to receive more than enough guidance in finding the ideal routes on major highways and roads. Staying away from certain restrictions related to RVs, like low bridges, is also possible with the Garmin 760LMT around. Note that the built-in wireless backup camera is also a big bonus as you can use it in transmitting images up to forty-five feet wirelessly to the system’s display. However, take note that the installation process is a bit complex as it usually needs the help of a professional. 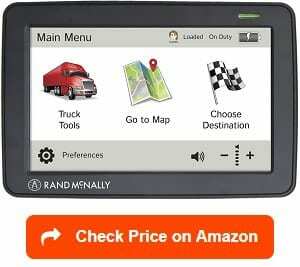 I also highly encourage truck and RV drivers who need a reliable GPS system to check out the Rand McNally TND530. One thing I genuinely like about this system is that it is already equipped with a user interface as well as software updates that guarantee a more efficient RV and truck driving experience. I am also happy to say that it is faster in comparison to its predecessors in terms of processing information. This GPS system is truly designed to be useful for drivers. It is because right after using it for programming routes, it will automatically compute the toll costs of your routes together with travel time, road construction, and gas costs. The system is also beneficial as it is designed in a way that it can provide warnings and alerts in case of certain issues, like some changes in the speed limits, sharp turns, truck stops, changes in time zones, and declines and inclines. This GPS system also has the ability to search for points of interest depending on your route. This means that it can help you find local diners, shopping outlets, restaurants, gas stations, and rest stops regardless of where you are. It also comes with an address book, which lets you sort it out depending on the kinds of contact you have – whether it is a business or an individual. This system even has a contact search features, helping you spot your preferred business or individual in a quick manner. However, some complained about the size of the screen as it is harder to read in comparison to the others. 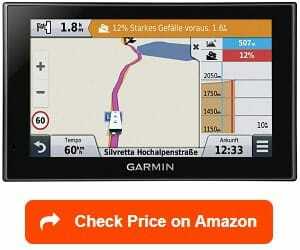 Another GPS system for recreational vehicles I would like to recommend is the Garmin dēzl 770LMTHD. It contains most of the features that any professional driver needs and ones. These include lifetime maps and real-time traffic. One of the greatest benefits of this GPS navigator is that it has a customizable routing. You can customize such routing based on the weight and size of the truck. This means that your routes will always be based on what you specifically need. I am also satisfied with the navigator’s trailer and truck services directory. It is mainly because you can use it in searching and filtering truck stops via your preferred facilities and brand names. You can also use the system in spotting points of interest that other truckers rated highly. These include restaurants, hotels, and parks. You can also use the device if you wish to search for new and popular shops and restaurants. One more advantage of this system is that it lets you log almost all important information. These include the use of fuel, hours of service, as well as track maintenance. You will also have peace of mind when driving your RV as this GPS system is capable of sending immediate warnings and alerts in case of weight limits, bridge heights, steep grades, as well as sharp curves. Some users find its cost a bit of a drawback, though, since it is higher than the others. 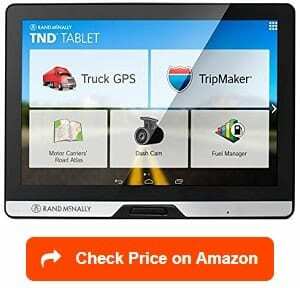 You might also want to check out the 528013076 Intelliroute 8-inch TND tablet offered by Rand McNally. 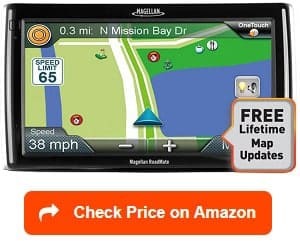 I realized that it is one of your excellent choices if what you want to invest in is a Rand McNally RV GPS system. It is actually a multipurpose device. It is mainly because it works not only as an Android tablet but also as an effective GPS. It has a large 8-inch screen, letting you view all the things and details you need to see clearly each time you plan to use it as a GPS navigator. I am impressed with this device, too, as it already has preloaded applications designed for accounting, fuel manager, document imaging, and load board. I am sure that you will also enjoy its preloaded applications designed for emails, news, and entertainment. The fact that it is a multipurpose device means that it is an excellent solution for you, especially if you want a unit, which tends to do it all. 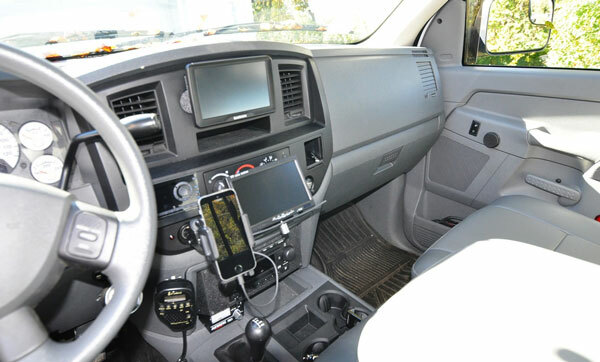 It is an in-cab device, which provides solutions for most of the problems encountered by drivers when operating their RVs. Some of the problems that it can deal with are those related to tracking mileage and truck-specific routing. It also boasts of its in-board dash cam, which is already preloaded with certain applications. You can use such applications in managing all possible operations related to driving, including load matching, bookkeeping assistance, and document scanning. Some complained that this unit is not as user-friendly as the other systems, though. The last GPS system I can recommend to any RV driver who needs it is the Magellan Roadmate RV9145. What I specifically like about this GPS navigator is that it offers peace of mind because I know that it constantly provides updated maps. It is because of its free lifetime map updates. It provides two maps annually, which you can update via internet. I also find this system impressive as it is compatible with both PC and Mac. It has a 7-inch touchscreen display, which is large enough that you can see a lot with just one glance. Another nice benefit of this unit is that it lets you customize your RV experience. It is mainly because of its patented favorites menu, which lets you access your favorite destinations and searches without hassle. I am also glad that this system features a reliable, adjustable, and rugged extension mount. With such mounting option, it is easy for you to install the system in your vehicle even if it has a deep dashboard. Another remarkable benefit is the presence of an integrated Bluetooth connection. You can make use of this feature as a speakerphone so you can conveniently and safely make calls hands-free. The unit also takes pride in its pre-programmed campground locations, especially all those found in Canada and the US. It also gives you the opportunity of customizing your routes depending on the weight and size of your vehicle. You can also carefully plan multiple stops because of its multi-destination routing technology. It has a flaw, though, and that is its low battery life. Trying to detect the perfect RV GPS system for you can be quite confusing; that specifically holds true if you are still unsure of what you need. Fortunately, this short buying guide is also included in this article to supply you with informative tips on selecting the most reliable system so you can enjoy and relax on your next trip. Size of the screen – One of the key factors that should contribute a lot to your final decision is the size of the screen. The screen size is a vital deciding factor as this is what you will be looking at when you are planning to go to your next destination. If possible, go for a screen with a reasonably large size. This is important as it will prevent you from experiencing difficulties looking at the displayed directions and routes. A large screen can also minimize the risk of your focus getting divided. If you are willing to spend more for a high-quality GPS system then a screen size of a minimum of 5 inches should not be a problem. You may also go for one with a screen that is around 7 inches, as such provides an incredible advantage. However, it is slightly more expensive in comparison to other units. What you have to avoid is a GPS system with a really small screen, especially if you are someone who travels on your own most of the time. It should be just the right size so you can view the displayed information without hassle. It should not also be too large that you will already have a negative impact on your view of the road in front of the car. If you go for larger screens, the touchscreen buttons will also be larger, promoting ease in inputting addressing and other important info when searching. Portability – Another important factor that should play a vital role in your final decision is the portability of the unit. The unit should be portable enough in the sense that you can easily bring it with you and store it in your travel bags. You can even choose those models sized like standard wallets or as paperback reading materials. Controls – Checking the controls of the GPS system is also crucial in making a decision. Prior to buying, spend time examining the controls of the unit you are planning to buy. Check whether you can easily operate the controls, as well. Note that the unit’s overall interface can greatly influence your buying decision. If the unit’s settings are difficult to access while you are driving, you might want to skip on that. You also should remember that fiddling with the controls will not be as enjoyable as the trip you are planning with your RV. The most highly recommended ones are GPS systems with a touchscreen display as they are easier to operate and use. It is mainly because you no longer need to input street names or insert addresses. Check how long it takes for the device to load, too. It should have a quick loading time so you would not have to wait for too long before you can find your destination. Installation process – You should also examine how easy it is to install the unit. Check their mounting options, too. These are vital factors in making a decision. 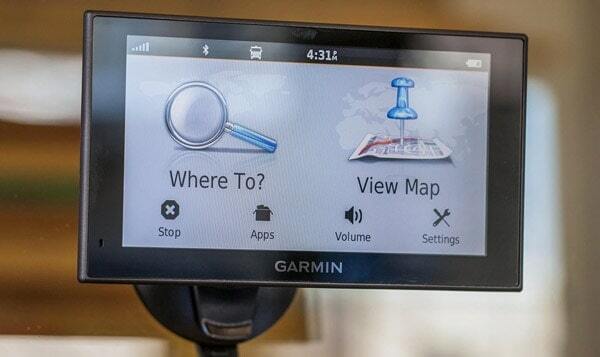 In most cases, the best GPS for RV app or device has a suction cup and windshield mount. In making your choice, it pays a lot to look for one with a steady and angled arm. It is mainly because this can help guarantee that the device will stay securely in place while being attached to the suction cup. Stay away from GPS system with a gooseneck arm as it has the tendency of vibrating each time the vehicle moves. Choose a device, which is not that hard to install, too. It should be easy to snap into place or slide when you need to remove it. How frequently you travel – Another vital factor in your decision is the frequency of your travels. You have to determine how frequently you wish to go on outdoor adventures or road trips while driving your RV. Such plays a major factor in picking the perfect GPS system for your specific needs. If you plan to use it only on an occasional basis then it is not ideal to go for a fancy system, which is too expensive. However, if your trips are too frequent, I highly encourage potential users to invest in costlier models with all the necessary features to let you enjoy your road trip. Wi-Fi and Bluetooth – Both Wi-Fi and Bluetooth are actually optional when searching for a reliable GPS system. However, they are still important, especially in those instances when you wish to gather information about weather updates and real-time traffic. Being able to connect to both Wi-Fi and Bluetooth is extremely important in improving the reliability of the unit. It is also a convenient option as it gives you the chance of pairing up the device with your smartphone or tablet with just a single touch of the screen. Predictive data entry – Each time you decide to go on an outdoor adventure while driving your recreational vehicle, inputting your preferred destination especially when driving is a bit challenging. With that in mind, it is no longer surprising to see some GPS systems having a predictive data entry functionality. With this feature, you can easily enter the address of your preferred destination. If this feature is present, you can easily and quickly do your searches. The predictive data entry feature can also present you with the addresses you searched frequently even when you input only the first few letters. This provides an added convenience since you will just simply scroll down in order to pick the right address. If you plan to buy the best RV GPS app, the predictive data entry feature is a great advantage considering the fact that it also promotes your safety while you are on the road. An RV GPS is a smart tool to have, especially if you are an RV owner who loves to go on trips with your vehicle. This system is designed in such a way that it considers various factors relevant to recreational vehicles. It is crucial in the lives of any RV owner because it ensures that your journey will become more efficient, convenient, and free. One role played by the RV GPS is that it lets you follow truck routes, making it possible for you to stay away from sharp turns, narrow roads, dense urban streets, U-turns, and any other possible obstacle to your smooth-sailing journey. It also prevents you from dealing with surprises while on the road since you can plan a more reliable route through it. You can use the GPS in simplifying your road travel to an unfamiliar or unknown destination. What is good about this system is that it utilizes an advanced navigation technology as a means of plotting the most cost-saving and practical route to your inputted destination. You can even find some models of this system that provide turn-by-turn directions, thereby preventing you from getting lost. The GPS also gives you information about the road that you have traveled, giving you a clearer idea about the distance you have already covered as well as the distance that you still need to take prior to reaching your destination. With that, you will never deal with any unexpected surprise on the road. A GPS is actually a system mainly composed of three parts – the satellites, the ground stations, and the receivers. Satellites in this system function similarly to the stars found in constellations in the sense that one will instantly know their exact location at specified times. Ground stations, on the other hand, work by using radar in ensuring that they are in the exact place where users think they are. Then there is the receiver, which constantly listens for the signal sent by the satellites. With that, the receiver can determine the distance one needs to take to reach them. After the receiver computes the distance from at least four satellites, it can determine your exact location. With these components, you can expect the best GPS for RV travel to determine your location with incredible precision. The system is capable of determining your location within several yards from your actual location. You can even find high-tech receivers that can determine your location within a few inches. It can speedily and easily pinpoint your location the modern way. Using the GPS seems like you are viewing a live animation, which moves each time you move or turn each time you turn. In case you are driving, it is possible for you to choose the kind of car that represents your vehicle in the animation. It also lets you choose the kind of voice you prefer to hear when it comes to receiving directions. Street Navigation System – With this type of GPS system, you have a hundred percent assurance that you will not get lost once you start driving your RV. It is mainly because of the ability of this device to provide you with turn-by-turn instructions, like the estimated time of your arrival, as well as the speed and mileage. A few of these systems are actually optional, which means that once you decide to buy your vehicle, you can choose to have it built into its dashboard. Other models, on the other hand, are considered as aftermarket purchases that you can connect to the windshield or dashboard. You can even remove them if you prefer a handheld device. The majority of street navigation systems today come preloaded with US maps. Most of them can also be upgraded by adding international maps. Such maps can provide important info regarding police departments, gas stations, places of interest, hospitals, and airports, among many others. One advantage of this system is that it is programmable. You can actually program it in such a way that it can provide info about the locations of your favorite stops. Most street navigations systems can also interface with your cell phone, which is beneficial especially if you wish to own a hands-free device. Sports GPS System – If aside from riding your RV you are also fond of sports then this type of GPS system is ideal for you. It is even perfect if you are a sailor since it prevents you from having to worry too much about reading stars during cloudy nights. It is because some of these systems are actually designed for use on marine conditions. You can also invest in GPS watches, especially if you do not want to end up giving up your favorite sports. It even comes with a compass, which is actually a cool feature. GPS watches even serve as small computers that you can strap to your wrist, providing you with plenty of features that specifically meet your needs. The only problem with this system is that it comes with a small screen. You might also need to change modes too frequently as a means of accomplishing a task. Handheld GPS Systems – You can also invest in handheld GPS units if you want a more convenient approach to traveling on the road. Having this around can have a dramatic impact on your outdoor travels. It can even replace the compass and map and provide you with precise location, digital maps, elevation, and other important data, like topographic. Such handheld GPS systems can also allow you to access waypoints that are known to be precise locations for a favorite campsite, safe passage, and fishing site, among many others. Handheld GPS units can also improve your safety outdoors. It lowers your chances of getting lost no matter how unfamiliar you are to a certain location. It can even provide you with precise position info that one can easily relay to rescuers just in case you deal with an emergency. There are numerous favorable benefits out of installing a GPS into your recreational vehicle. Note that this system will use satellites as a means of determining your present physical location. With the specific turn-by-turn instructions that it provides, this system can simplify all the things related to your daily commute and next road trips. Offers a wide range of device options – One thing that you have to be aware of regarding GPS units is that they are available in various formats and device options. For instance, some vehicles are already equipped with a system, which makes use of a satellite or CD when it comes to providing driving instructions. In case your vehicle does not have this feature and capability then you can always choose to invest in a portable GPS. This device is convenient because you can easily mount it on your dashboard or windshield. It is portable but it still offers similar functionality as other more popular models. Furthermore, you can also find smartphones that feature a navigation system, which is capable of keeping you at your fingertips. Such diversity in GPS device makes it possible for you to find a solution that can meet your specific needs. Features a panic button – What is good about most GPS systems today is that they feature a panic button. Once you press the button, you can expect an operator from the system’s carrier to listen to your conversation. Such an operator can then send alerts to the authorities or help you out, thereby keeping you safe when dealing with a hijack or accident. Convenient to use – Another favorable benefit of having an RV GPS is that it offers convenience to any RV enthusiast. It offers convenience as it ensures that your journey will never cause you to deal with the stress and hassle of being lost in an unfamiliar road or location. Most of these systems actually work with reliable GPS map data. You can also expect these devices to offer drivers with voice instructions, giving you guidance while you are traveling. You can receive guidance when traveling without having to remove your eyes from the road. With the help of this system, you will receive accurate information about your exact location. It can even show you the best route from one location to another. You can also use it in determining where you are exactly along the route. This makes it one of the most convenient systems you can install in your recreational vehicle. Allows you to perform a neighborhood search – Several GPS devices also give you the opportunity to search a certain location based on a specific landmark. This could be a restaurant or a gas station within a certain radius to your present location. This specific functionality is a big advantage as it lets you figure out the perfect places to stop during your daily travels or road trips. Other landmarks frequently displayed by the system are museums, hotels, airports, and some points of interest. However, take note that you can’t expect all GPS units to have information regarding the most recent changes in neighborhood landmarks. This is the main reason why it is still advisable to contact a business to confirm the provided info. It would also be best to create a backup plan. Provides alerts regarding traffic and the weather – Depending on the kind of device you decide to use, you can expect your GPS unit to provide you with alerts regarding the traffic and the weather. The alerts can provide you with information regarding any adverse traffic or weather conditions. For instance, your unit may be capable of notifying you in case of road closures or delays because of traffic accidents or construction. In most cases, the alerts also come with alternate routes, so you can avoid such road and look for a more convenient one for you. However, there are instances when the unit provides alerts at a time when you can no longer change your route. There are also times when the provided alternate route is longer than the one you planned to take. Still, it is a big help, especially if you do not want to deal with the hassle of dealing with certain issues on the road. Your system is even useful in detecting structural problems in roads and buildings. In addition, there are certain GPS systems that can predict disasters such as earthquakes. Promotes ease of navigation in remote areas and the wilderness – One possible reason why you invested in a recreational vehicle is that you would want to spend time in nature through camping. The problem is that it is a bit difficult to drive on roads, especially those deep in national parks, forests, and other remote locations. Some of the roads can’t even be seen on the map, which might cause you to get lost, especially if you are still unfamiliar with your intended destination. Fortunately, you can now use the GPS. It is a big help in navigating to your destination. In case you get lost, it can instruct you on how you can reach the closest highway or primary thoroughfare. There are indeed several benefits out of owning the right RV GPS. Aside from the ones already mentioned, you can also use the system to figure out weather patterns. You can also use it together with cameras. It also has a great use in the military, for RV owners, and for surveying volcanic eruptions, earth plates’ movements, and sinkholes, among many others. 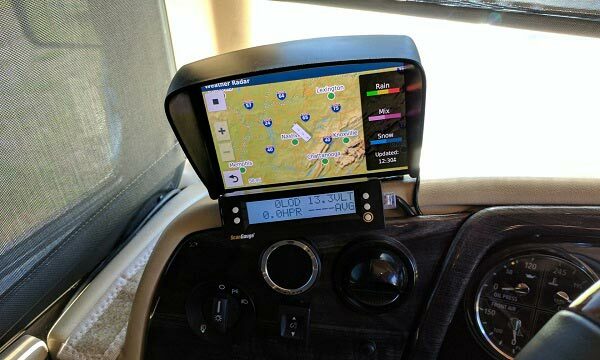 However, prior to signing up for or installing a GPS system in your RV, make sure that you are fully aware of what exactly you are paying for. If you will be paying a monthly fee, it is a must to understand its coverage, too. Research about the different providers of GPS and find out how much it requires you to enjoy their services. Read everything related to the system as well as its pros and cons. Also, make it a point to spend time comparing the rates of different brands of GPS systems. Your goal should be to pick a product and a package, which perfectly suits you. Fortunately, you can take advantage of all the info provided by this article in finding out the most useful and reasonably priced GPS packages. What does a GPS do and how can it help? A good GPS system makes it possible for travelers, especially those who drive on their travels, to take more exciting journeys. The system delivers in-dash infotainment potentials, making it possible for you to go on a trip to different places whether to play or work. Having a GPS system is also helpful as it prevents you from stopping every now and then just to inquire about directions. It can simplify all your road trips, especially if you are in an unfamiliar or unknown location. What is good about this system is that it makes use of an advanced navigation technology. This is helpful in plotting the most cost-saving and practical routes to your preferred destination. The system is even capable of showing you your traveled road, giving you information about the distance you have covered as well as how far you still need to go before you can reach your destination. It serves as your personal navigation system, giving you the chance to utilize the routing you prefer to utilize while also factoring in the details and specifications regarding the least distance that you can take to reach your destination. Some systems even give you the chance to save because it suggests routes that do not have toll fees. What are the usual issues when using RV GPS? Despite the usefulness of the RV GPS system, there are certain instances when it causes some problems. One problem that you might encounter when using the GPS system is a dead or depleted battery. This might happen, especially if you haven’t used or turned on the system recently. It might cause the battery to get depleted. In this case, ensure to plug your GPS system into a computer or wall outlet. Check for activity. The system should be able to detect that it is already plugged into a source of power so it can start charging. In case it still does not charge or hold its charge for a long time, then replacing the batteries might be necessary. Other issues that you might encounter from an RV GPS are bad or loose micro SD card and poor display but it is possible to avoid the mentioned issues by ensuring that you purchase the most reliable and trusted brand. 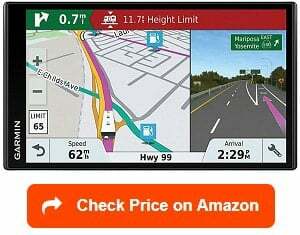 What are good RV GPS brands? The popularity of RV GPS systems is one of the reasons why you can find plenty of good and reputable brands at present. Garmin is just one of these brands and it continues to supply its customers with different models of GPS systems. Other popular and reliable brands are Rand McNally, CoPilot, and Magellan RoadMate. Do GPS systems come with a trip planner? It actually depends on the brand and model you have chosen to purchase. If you choose a Garmin GPS, for instance, then be aware that you can take advantage of its trip planner as a means of creating and saving your trip that you are allowed to navigate at a later time. 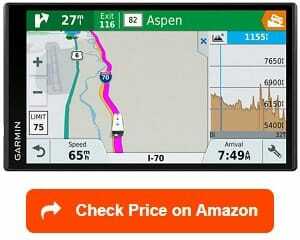 The trip planner built into the GPS is useful if you plan to take a vacation, road trip, or delivery route. What is even more beneficial is that the trip planner gives you the opportunity of editing a saved trip, further customizing it. You can also reorder locations, optimize stop orders, and add shape points and scheduling info. The active planner often included in a GPS system is also useful in editing and saving an active route. Do GPS systems come with lifetime updates? Fortunately, the majority of GPS systems today already come with lifetime updates. This is actually a good thing if you want to experience utmost convenience when using the GPS for your RV. What is good about these lifetime updates is that it can help your GPS system to stay current. Remember that the routes and streets change on a constant basis. Not keeping your GPS system updated and current, therefore, might cause you to be unable to find your route and get frustrated. This is the main reason why GPS systems with lifetime updates are extremely useful. The warranty details associated with a GPS system depend on the manufacturer of your chosen unit. In most cases, it covers repairs of some damaged parts and components. However, this will also depend on whether or not it still falls within the warranty period, which is usually around 3-5 years. 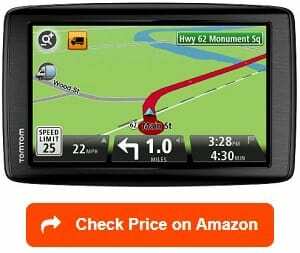 As an RV owner who often goes on a road trip or an outdoor adventure, it is a must to invest in the best RV GPS. You will definitely thank yourself once you buy the most appropriate unit for your rig. It can save a lot of your time and effort while preventing you from experiencing troubles while navigating to your preferred destination. We would like to thank you for reading this article. Find out more about how to choose the best wifi boosters for RV, best RV backup cameras and best RV tire pressure monitoring systems 2019 with our reviews and ratings. Furthermore, please take a look at the best cell phone boosters for RV, best TV antenna for RV and best TV for RV to choose the right one for your RV electronics. Awesome post, thanks you so much for sharing, you should also visit http://techdevices.review/category/gps-review perhaps cause this site is great for gps stuffs said sara just above. Deborah, the link you shared is for automobile gps, not specific to RVs, hence, Stephen’s article.